Every project needs to have a client associated with it. Learn how to add new clients effectively to manage your projects with ease. Select Clients in the top bar, then click the Add a new Client button. Enter the name of the client into the respective field. Pro tip: Before creating a client, define the basic activities and roles that you will be offering, such as project management and graphic design, or senior designer and PPC specialist. You can learn more about how to do it in a separate tutorial. In case of internal projects, just enter your own company as the client. If you had already set up your roles and activities when creating a new client, you’ll be able to establish that client’s hourly rates. Costlocker will remember them, so when creating a new project budget for that client later on, you’ll only have to select the activities / roles, and the respective client rates will be assigned automatically. In case you offer different activities / roles for different clients, you’ll see all of them when creating a new client. Don’t worry, just leave the ones you don’t want to offer to that particular client empty, and they won’t show up with that client in the future. Start by selecting Clients in the top bar and click the client name in the list. On the client screen, click the Edit Client button in the upper right corner. If you stopped cooperating with a client, you can deactivate them, so that they won’t show up as an option in the first step of creating a new project. If you deleted the client instead, you’d lose all the data associated with them, including projects that you have created. Select Clients in the top bar, then click the Add a new Client button. 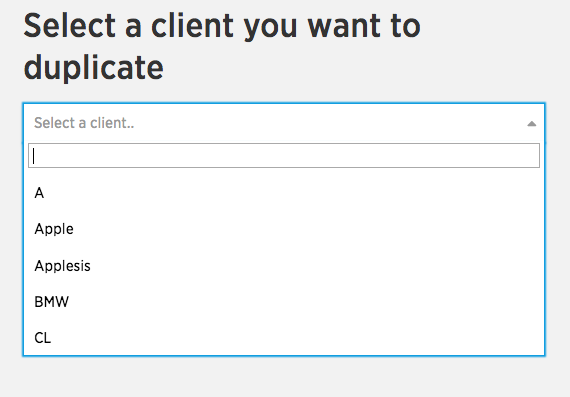 Select the Duplicate Client option in the yellow bar and pick an existing client whose settings you want to duplicate. 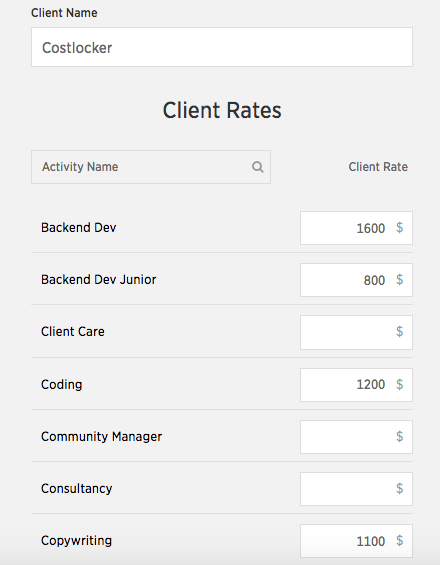 Duplicating clients is handy when your rates for all the activities and roles are identical for all clients. By duplicating instead of manually entering all the rates for every new client, you’ll save lots of valuable time.